Dealing with a broken house chain is one of the biggest issues homeowners face when selling their homes. Unfortunately, broken house chains have been plaguing the UK property market for a number of years, however there are ways to not only fix a broken house chain, but to also completely avoid them. So, what are broken house chains, how can you avoid them and how can you fix them if you happen to find yourself in a broken house chain situation? What is a broken house chain? A house chain is a sequence of linked house purchases, each of which is reliant on the preceding and succeeding purchases. So, for example, there are four properties in a particular house chain (A,B,C and D). A buys B’s home, and B uses this money from their house sale to purchase C’s house, and C uses this money to buy D’s home. However, in some cases the chain can break and this is referred to as a broken house chain. So, for example, if B pulls out of selling their home, C would have to find a new buyer to purchase D’s home. Why do house chains break? There are several reasons why a house chain can break, but the most common reason is due to a buyer or seller pulling out of the house chain. This could be due to no longer wanting to buy or sell, financial reasons or other personal reasons. One of the most common reasons for the collapse of a house chain is the process of gazundering. The process of gazundering is when a buyer reduces their offer at the very last minute of the house buying process, usually just before contracts are exchanged. While this is not a moral process, it is still legal in UK property law. If gazundering does take place prior to the exchange of the contracts, the vendor has to decide whether to accept the lower offer to avoid a house chain, or reject the offer and go back onto the open property market. What could I lose financially with a broken house chain? Not only is a broken house chain emotionally straining, it’s also a strain on your finances. They can be a hard blow to deal with, and some house chains can last months, sometimes even years. Financially, you’re set to lose any fees you may have paid out in preparation for your house sale. This could be solicitor fees, costs for any valuations or surveys, or a non-refundable mortgage arrangement. Unfortunately, there is no set amount that you could lose and it is all dependent on what fees you have paid and the amount you have paid. My house chain has just broken, what do I do next? 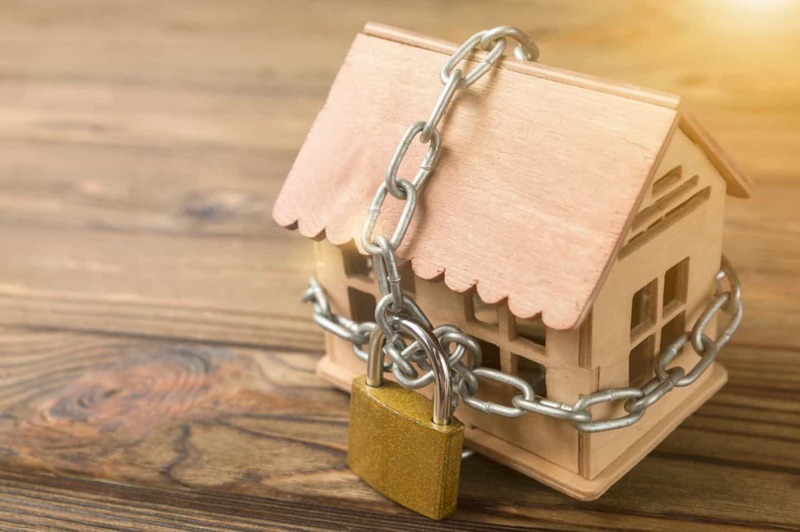 If you’re selling your home in a house chain, there is unfortunately no way to prevent the chain from breaking, but there are ways to avoid it, which will be explained below. Once you find yourself with a broken house chain, it isn’t necessarily the end of your house buying and selling journey and you may still be able to achieve a quick house sale. The quickest and most effective way to sell your house once you find yourself in a broken house is to sell through an online property buyer, such as Good Move. At Good Move, we buy all types of homes, regardless of whether or not your house chain has broken. When you are planning on selling your home, the sooner your home is bought, the sooner the house chain can continue. Selling your house quickly is always important, so at Good Move, we aim to achieve a sale in as little as one to two weeks, or to a timescale of your choosing. We understand that selling your home is financially straining, especially when your house chain breaks. At Good Move, all of your sellers fees are covered, so you will not have to pay any additional legal costs or solicitor fees. How can I avoid a broken house chain? Unfortunately there is no way to prevent a broken house chain, however you are able to avoid a house chain altogether. Rather than put your home onto the open market through a traditional estate agent, the best way to avoid a chain is to instruct an online property buyer. By going straight to a company such as Good Move, you will be cutting out the middleman and any sellers fees such as legal and solicitor fees, and therefore will not have to rely on finding an interested buyer. Alternatively, you could also sell your home through an auction to avoid a broken house chain. Selling through auction is a riskier method compared to online property buyers, as you are not guaranteed to sell your home and it can be an expensive process. There are however pros and cons to selling your house at auction, and it is one method to be considered. If you have an offer accepted on your property, make sure the buyer has a mortgage offer in principle (or DIP – decision in principle) before you agree to a sale. Always make sure your estate agent contacts the buyer’s agents to confirm the exact position on their chain to ensure everyone’s position in the chain is transparent. Another way to avoid house chains to is instruct your estate agent not to consider buyers who are involved in a chain and are not reliant on selling a property. A house swap is another option to avoid chains completely. House swaps only work if two buyers want to buy each other’s homes, and it’s crucial to find trustworthy buyers. To avoid a lengthy sale process, you may want to consider lowering your asking price. You should always be prepared to lower your price, as the majority of property in the UK sells within three months of being on the market. Any longer and it may be a case that your home is overpriced. Are you looking for a quick house sale and to avoid house chains altogether? Contact our surveying experts at Good Move today to find out how we can help you.